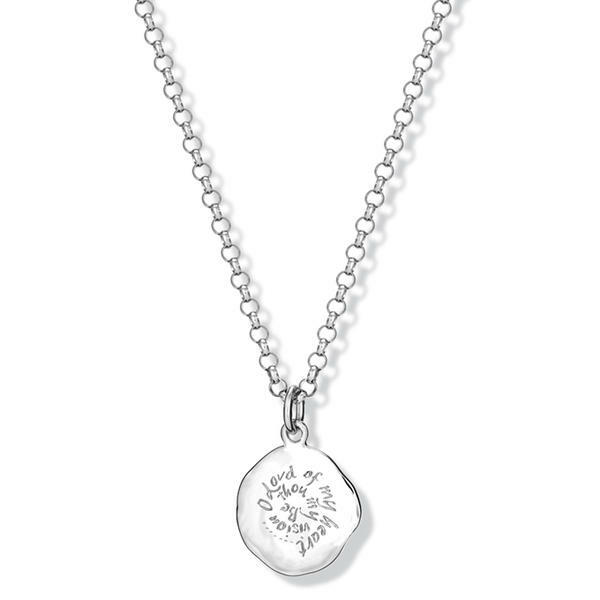 'Be thou my vision...' silver necklace pendant engraved with the words : 'Be thou my vision , O Lord of my heart'. Words from the Irish poem "Rop tú mo Baile", and often attributed to Saint Dallán Forgaill in the 6th century. From Cassandra's Classic Collection.